This is NOT a DIY job! 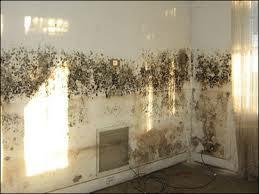 Mold is not just on the surface! Just Clean it With Bleach? This past month I received a phone call from a Realtor who had a house his client was interested in buying, but it needed water damage repairs done to it. He wanted a price to “just use some Clorox on the moldy areas” as a quick and inexpensive fix. I explained to him the repairs would not be so simple or inexpensive. First, Clorox is mostly water and that’s what caused the damage to begin with so other products are used. Second, killing the mold on the surface does nothing for the mold that might be on the back side of the drywall or on the wall studs. Third and most importantly, I explained the correct way to handle water damage: a mold assessor must identify all affected areas and identify what type of mold exists; a mold remediator must seal off the affected area(s), demolish, remove, and properly dispose of the mold affected building components, scrub the air of mold spores, and clean all affected surfaces based on the type of mold; and the mold assessor must return to test the air and surfaces to assure that no mold remains. Only then can the mold assessor issue a clearance report which the building department will require before issuing a permit to rebuild the affected areas of the house. All of these steps cost money, often thousands of dollars. I further explained that this protocol must be followed to protect the Realtor and Leading Edge Homes from exposure to unnecessary liability. He thanked me for my honesty and the education I provided him. He decided he was going to tell his client that the house would cost too much to properly repair and continue their search. I have always maintained that all repairs should be performed correctly, the first time, so they never need to be performed again and so you never have to worry about repercussions. I may not win every job but I sleep well at night! If you ever suffer water damage in your house, please call me at 561-795-2551 before doing anything or calling in even a water extraction company. I can recommend an excellent public adjuster who will ensure you are fairly compensated by your insurance company, a highly reputable mold assessor and mold remediator, and of course Leading Edge Homes performs restoration work to put your house back together again.